We had yet another great opportunity to be a host to one of the Mommy Parties. This time it was something I knew my daughter would flip over, The Littlest Pet Shop. And of course, I was right. When I told her we'd be hosting a play-date with a couple of her friends, her eyes lit up. She's been loving The Littlest Pet Shop for the last couple of years now and Santa has managed to bring her some nifty items of The Littlest Pet Shop family. 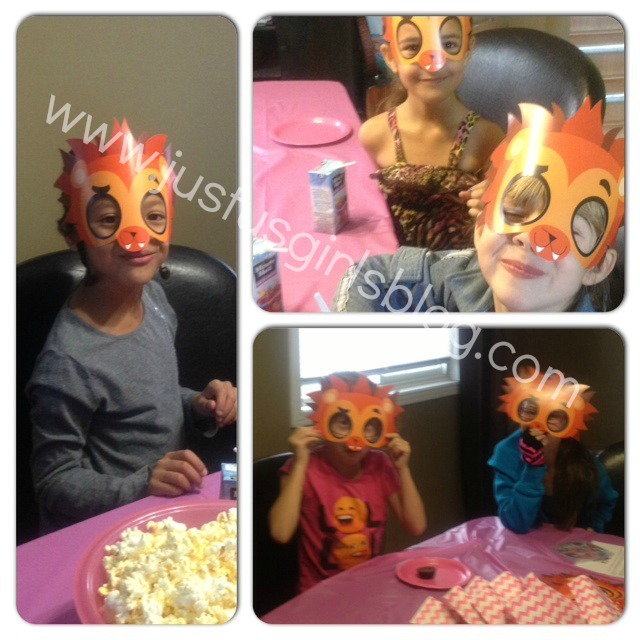 This past weekend we gathered a handful of teenybopping Justin Bieber and One Direction loving girls and put them in a room with food, treats, goodies, music and the highlight of the day, The Littlest Pet Shop: Blythe's Big Adventure parts one and two. This was a premiere screening that none of the girls had seen before as it just premiered on November 10th on Hub TV, so they were all super excited when it was time to watch the show. To start off the play-date was a small lunch which was mac and cheese (my daughter's all time favorite) in a cup, which the girls seemed to love. 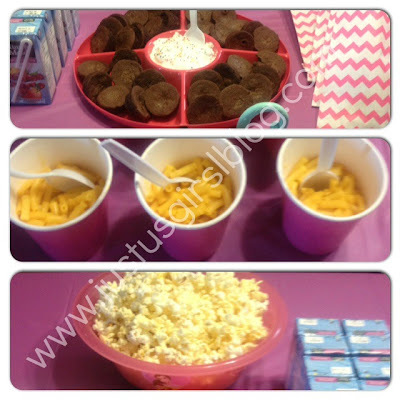 We then had snacks for them all to munch on during the show and throughout the entire play-date which was brownie bites with sprinkled icing they got to top themselves, popcorn and juice boxes. During lunch I sat out some of the toys of The Littlest Pet Shop that my daughter had on the table for all the girls to play with. They ate, laughed, danced, talked and they also did their nails and about an hour and a half into the play-date I had the girls bring down the treats and watch the movie. They loved the show and watched it twice. The songs were catchy and the show itself was colorful and vibrant and they loved the new character, Blythe. This turned out to be one of our most successful play-dates ever, the girls had tons of fun and at the end were rewarded with a few goodies to take home, some Littlest Play Shop lip balm and mirror/brush. While the girls were leaving I was being asked when the next play date was, I guess this was a success! Disclosure: All opinions are my own. I received the Littlest Pet Shop package from Mommy Parties at no cost for the purpose of this review and to host a party. No other compensation was received.